Social media is like a jungle where you have to watch every step you take care carefully. We all know that social media can generate incredible results for your brand, but doing so demands great planning and execution. On social media, there are lots of traps and dangers you can get stuck in, but if you know what they are, and where they are, you can avoid them, save yourself from disaster, and also reach your goals faster. Chances are, you’re making mistakes on social media that are keeping you from success, but it’s hard to stop committing them unless you know what they are, right? Making mistakes on social media can be costly. It can cost you followers, engagement, reach, bad publicity, or even customers. To help you better succeed on social media, I am listing the top 61 most common and harmful Mistakes You’re Making on Social media, so you can watch your steps and avoid falling into the many pitfalls that are placed on social media. There’s a lot of mistakes that you might be doing (and maybe will commit in the future) so let’s get started. Social media is called ”social” for a reason. Unless you’re using social media for being social, you might as well not use it at all. Social media gives brands unique opportunities to engage and interact with their target audience in a genuine and intimate way, something that wasn’t possible before, except if you met them in person. When you interact with your audience, you increase their trust in you, and when they trust you, they are more likely to buy from you. By engaging with them on a regular basis, your customers also become more engaged in your brand and they are more likely to become brand advocates for your brand. Chances are, you have people reaching out to you, and if you aren’t responding, you’ll end up making your customers angry, because you send them signals that you don’t care about them. Hashtags are tremendously effective on social media, and on platforms like Instagram and Twitter in particular. Therefore, you should definitely be using them, however, if you are going to use them, you need to do so correctly. First of all, you need to do research on what your target audience is actually searching for. Ultimately, you want to attract people who are within your target audience, and that is only done by using relevant hashtags that people in your niche are using and searching for. If you’re in the tennis industry but are using hashtags like #smile and #happy, you won’t attract a lot of people who are interested in tennis, will you? There are many ways you can use hashtags incorrectly, so it’s best if you start from the ground up and learn how to use them for each and every social platform you are using. What’s more, it’s important that you acknowledge that hashtags work differently across social platforms. Did you know that 70% are more likely to use a brands product when the brand responds to them on social media? Well, it’s true, and what’s also true is that people often approach brands on social media, and more specifically in their comment section. They might ask you a question about pricing, shipping, or availability, but if you’re ignoring them, there’s a great risk that they won’t buy from you. More and more people are turning to social media to check out a brand’s social media presence before buying from them, and many are contacting them. The problem, however, is that brands ignore 89 percent of people who want a response, according to Sprout Social’s research. 65% of people have more brand loyalty. 70% of people are more likely to use the brandâ€™s product or service. 75% of people are likely to share a good experience on their own profile. Respond to every single message you receive on social media, no matter what type of message it is. With social media, you have to be very careful with crossing any lines, because doing so can cause amazing social media storms. Even if it doesn’t escalate that much, many people will jump ship if they feel that you’ve crossed the line, and when they do, they’ll never return. Make sure that you aren’t stepping on anyone’s toes, and that you aren’t discriminating, making fun of someone, or doing anything else that might upset people in your audience. Being loved by everyone and hated by no-one is difficult on social media, but you’ll increase your chances if you’re constantly checking and thinking twice about what it is you are going to post. Brands often have multiple social media managers, all of which are logged in to the brand’s social media account all at once. As you can imagine, with little communication, this can result in a harmed brand image as a result of responses that aren’t cohesive, and that don’t follow the brand’s voice and image. If everyone is pulling in different directions, you won’t get anywhere, right? What’s even worse, if multiple people have access to the social media account, you might even end up responding to the same person, causing a lot of confusion. Communication is the key to successful customer interaction if you’re several people who are managing a page. This is a social media mistake that I see far too often, and I cry inside every time I do. We all know that social media is effective in marketing, but the sad part is that far too many brands are hopping on social media without having a long-term strategy of how they’re going to maintain their presence. The truth is that good social media results aren’t achieved in a day, week, or even a month. 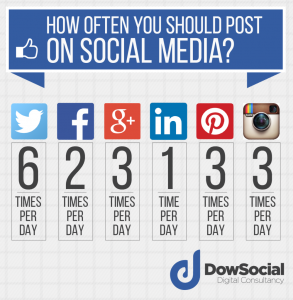 Great social media results come from a consistent and powerful social media presence. The social media problem I see is brands who create a social media page, share a few posts, and then realize that they don’t have any time and resources to manage it, and then leave their social media page to die. No! Because doing so will result in more damage to your brand than benefit. As mentioned, many people go to your accounts on social media before they buy from you and if you haven’t posted for weeks or even months, they’ll shy away buying from you. In other words, your social media account will have an opposite effect of what you initially planned. If you’re going to use social media for marketing purposes, make sure you have a clear long-term strategy for how you’re going to manage iS and keep it alive for years to come. Politics is for politicians, and preferably, brands should stay out of politics. Of course, brands should stay true to their core values and brand personality, but taking politic stands on social media can cause a lot of trouble for brands, and result in hate and fights on and against your page and brand. As a result, you risk losing a lot of followers and ultimately also customers. You are best off not including any political thoughts or ideas into your social media presence. Instead, stay neutral and focus on your niche and industry. When deciding your brand personality, brand voice, and brand message, you aren’t doing so to later abandon it. As a brand, you decide on one brand personality that you’re then going to stick with for a long time to come. Often for all eternity. Because sticking to a personality will allow your customers to better resonate with you, and ultimately build a relationship with you. What personality do they have? If they would all of a sudden change to a personality that’s boring and controversial, do you think they would resonate well with their target audience? Therefore, you want to stay true to your brand personality no matter what. A big problem is that brands sometimes try to gain traction by hopping on emerging trends, but what often ends up happening is that they’re not staying true to their brand personality, and they’ll lose integrity in that end instead. Yes, we have seen statistics about how effective social media marketing is for driving sales, but the thing is, you shouldn’t view social media as a sales tool. After all, people aren’t on social media because they want to be sold to, or because they want to see ads. Instead, they are on social media to be entertained, interact with people, and have a good time. Therefore, instead of working actively to shove ads down your followers’ throats, you should focus on using social to connect with your audience, build relationships, and provide value to them. when you do all of these things, they will ultimately lead to sales. Not because you pitch them all day long, but because you provide them value, and because they trust you! A lot of people take it to social media to complain to brands. As a result, you need to be ready to meet the complaints. Of course, you should be ready to reach all of your customer inquiries, no matter if they are negative or positive. If people are leaving complaints on your social media, you have to do something about it. The first solution is to respond and do everything you can to solve the problem. That way, people who scroll past and see that you have a profile that is full of complaints can see that you are actually doing something about it and not just ignore your customers. Obviously, it is impossible to avoid complaints, no matter how careful you are. Eventually, you’ll make a mistake, or your customer will find a problem. As a result, you need to have a plan of how you’re going to deal with them in the best possible way when they come. The other solution is to look at the complaints you are receiving and see it as feedback. Ask yourself ”what can I do about this so that it doesn’t happen again?”. Of course, fit you’re using this method, you should obviously not skip responding, however, you can also let the customer know that you’ve now solved the problem so it won’t occur ever again. Social media is all about content. The content you share is your value proposition to your audience. Without content, you have nothing! The thing is, a crazy amount of content is being shared on social media every day. In fact, people share 1.3 million pieces of content on Facebook every minute of every day. That’s only on Facebook! It means that in order to cut through the noise, you need to have appealing, attention-grabbing, unique and high-quality content. Because that is the only way you’ll be able to grab your audience’s attention. If you’re going to compromise on one of them, it’s quantity, but never compromise on quality, because that is the only thing that will set you apart from your competitors. It’s a shame that buying followers on social media is so widespread. Not only is it regular people who want to boost their influence, but regular brands are also doing it! But the truth is that buying followers is the completely wrong approach to social media success. After all, you’re using social media because you want to reach more people, improve your relationships with your customers, and ultimately get people to buy from you, right? Well, what type of people do you get when you buy fake followers? No people! They are bots! And because they’re bots, they’ll never interact with your posts. They just sit there like empty shells. I know that there are lots of services that claim that they’re selling ”real followers” but let me enlighten you that there is no such thing. No matter if it’s a real person who begins to follow you, they’ll never interact with your posts, and they couldn’t care less about your brand or products. Captions are an important part of your posts on social media. 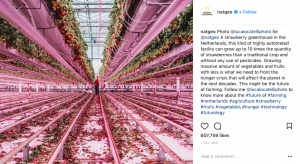 On platforms like Twitter, your caption might be your whole posts, and on platforms like Instagram, your caption helps complement your post and gives it context. No matter what, your caption is extremely important and should not be neglected. With the help of a great caption, you can convince people to buy from you, or you can emotionally impact them into doing something for you. Evoke feelings in your audience. This can help you increase your engagement, shares, and ultimately impact the message you’re trying to send has. Have the most important parts at the top as people start at the top to see if the text is interesting enough to keep reading. I spoke about how you shouldn’t let quantity outrun quality, but just even if you can produce quality pieces of content in a high quantity, you shouldn’t be spam posting them. Tons of studies have been made about ”the ultimate number of posts”, but I always take these studies with a large pinch of salt. The thing is, the number of posts you should share obviously depends on your target audience and what they consider a reasonable about. But the problem is that if you’re posting way too much and clogging their feed, they will eventually decide to unfold you. Or for platforms that have an algorithm that decides what they are going to see, the algorithms will eventually filter away your content from their feed because they didn’t interact with it, which sends signals that they don’t like your content. If you’re posing a few times a day, don’t post them directly after each other. 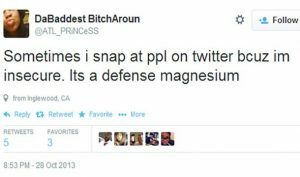 Instead, spread them out evenly throughout the day. If you have a habit of posting often and a lot, what you will notice is how your engagement will skyrocket. Obviously, there is no ”ultimate amount of posts”, but I recommend that you go out and experiment to find your ideal number of posts across the different social media platforms. A huge social media mistake you can make is to post stock photos. Remember that I said that you shouldn’t let quantity be more important than quality. Well, the truth is that stock photos aren’t necessarily low quality, in fact, they are usually quite high -quality, but the problem with stock photos is that it is difficult to give them any context that is related to your business. While the picture itself might be high quality, the context of the post when you share it often makes the post low-quality for that reason. Since photos play such an important part in social media success, don’t compromise the context or content by using stock photos. Normally, they bring very little value to your audience and remember that the value you provide your audience is what will ultimately make you sell to them. The reason people follow you on social media is simple: they want to see your content. But if you can’t deliver high-quality, appealing content that provides your audience value, they’ll be gone quicker than they came. What’s even more important is that you need to stay true to your brand and your brand’s theme. If you are within the golf industry, the majority of people are following you because they want to see content that is related to golf! if you all of a sudden, start posting basketball content, people will unfollow you. When people follow accounts, they expect a certain type of content, and that’s why it’s so important to have a content strategy and a visual theme that tells you exactly what type of content you should be sharing to make your audience happy. Before you post, ask yourself ”is this relevant to my followers?” ”is this relevant to my industry and brand?”. Hashtags are great for many social media platforms, but if you’re using too many of them, and are spamming like crazy, they’ll do more harm than good. If you use too many hashtags, your post can appear spammy, and as a result, you’ll end up scaring people away, or just scrolling past your post. On Instagram, the maximum number of hashtags you can use is 30, and if you were to use those hashtags in your caption, your post would look extremely spammy. However, if you are to add the hashtags to your comment section, people won’t be able to see them, and your hashtags will boost your post without making it spammy. The bottom line is that if you’re going to use hashtags (which you should), be careful with making you post look spammy since it can scare away people from it. Have the rule of thumb that you shouldn’t use hashtags so that it distracts your audience from the message you’re trying to convey and the post you’re sharing. A common social media mistake, and a misconception is that the more platforms you’re active on, the more people you’ll reach, and the better results you’ll generate. The only problem with this is that it isn’t true. Sure, if you have tons of resources to manage your presence across all of the social media platforms properly, I am all for using as many social media platforms as possible (as long as your target audience is to be found there), but the thing is, those who often say that they need to be active on every social media platforms they can come across are often the brands and people who have a hard time managing one platform. The thing is the fewer channels you’re on, the more focus you’ll have, the better content you’ll be able to produce, and the better results you’ll generate. When you’re trying to juggle a ton of social media platforms at once, what will end up happening is that you’ll generate average results on all of them, or even be forced to abandon some simply because you don’t have any time to manage them. And remember how bad it was to abandon social media pages of your brand? People might believe that you’ve gone out of business and shy away from buying from you. You’ll be far better off putting full focus on a few social platforms. It’s better to focus your efforts rather than spreading them all over. Never jump into events or discussions that aren’t related to your brand or industry, and try to take part in a self-promotional way where people can instantly see that you don’t belong there and that you’re only there to promote yourself and not to add any actual value to the community. As talked about earlier, people aren’t on social media because they want to have ads shoved down their throats. Instead, they are there because they want to see valuable content from you and other people that interest them. The minute people start sensing that you’re just selling, selling, selling, without actually bringing them any value, they’ll be gone. People will be able to see through promotional and selly posts, and that’s why social media demands a different approach than your regular marketing channels. The rule that is often spoken about is the 80/20 rule, where you post 80% content that provides value and 20% promotional content. Essentially, your social media strategy tells you what you’re going to do, why you’re going to do it, how you’re going to do it, and how often. In other words, a social media strategy is like a blueprint. It is possible to build a house without a blueprint as long as you have the right knowledge and expertise, but the problem is that the result will most likely not be as good as it could have been, and more importantly, it will take much longer time than needed. Having developed a social media strategy allows you to save time and focus on the things that bring you closer to your goals. What’s more, having a social media strategy also allows you to see if, and how well you’re working towards your goals. Ahh, aren’t we very familiar with what happens when you try to take shortcuts? The truth is that there are no shortcuts, only ways to make your job more efficient. If you take shortcuts, you’ll have to eat it up further on. It’s like buying fake followers! You buy fake followers and is super proud of having boosted your popularity, at least by the looks of it. But having bought fake followers also means that you’ve created the problem of now having anyone who interacts and engages with your posts! Remember, it is not the number of followers you have that matters, but instead, what truly matters is how engaged your audience is. It’s better to have 10 engaged followers who run around telling everyone how awesome you are and that buys every single product you release, rather than having 10K fake followers who never engage with your posts or brand. Never take any sketchy shortcuts that seem too good to be true, or that boosts your number of followers etc. Your focus should always be on building an engaged audience. And if you have an engaged audience, your audience often grows, because people will want to be a part of the awesome community you’ve created. 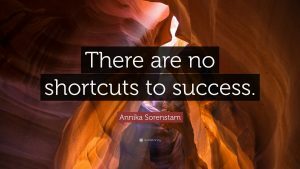 When talking about shortcuts, it can be good to mention all of the other things you can do on social media to boost your results with the help of bots. Instead of trying to find every single shortcut, which in reality is no real shortcut, build your social media presence the right and genuine way, because that is the only way that you will generate real results that benefit your business. A small social media mistake, yet one that certainly isn’t helping you. Spelling errors, no matter which context, never makes your brand looks good. It makes you look unprofessional, and like you haven’t put time into creating or writing whatever it is you share on social. 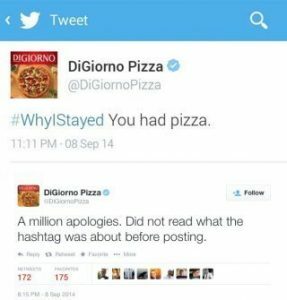 When it comes to brands, customers are often very quick to mark any flaws on social media, so make sure you correct and read through everything you’re going to post an extra time. You want to minimise the number of things that your audience can pick on. Never act like you know it all, especially when you clearly don’t know what you are talking about. When you pretend like you know it all, there’s a great risk that you talk above your audience, making it seem like you think you are better than them. When you do this, you’ll make it harder for people to resonate with you. Instead, you should admit your mistakes when you are wrong, and tell everyone how you started out and knew nothing. When you do, you humanize your brand, and being human is crucial for great relationships. I’ve already spoken about the importance of high-quality content on social media, but when it comes to content, a huge social media mistake you can make is to post blurry and low-quality images. It’s not 2007! Almost everyone has access to a good camera that takes high-quality images. Today, modern phones take incredibly impressive images that are more than enough. How is it still possible that some brands share images that look like they were taken with a Nokia? If your image is blurry or has a low resolution, don’t post it. 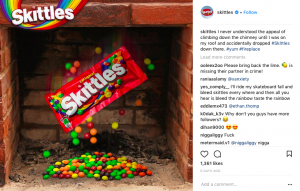 By posting, you hurt your brand’s reputation, as well as risk scaring away followers of yours. Some might even draw the parallel that if your images are low-quality, are your products too? Authenticity is crucial to social media success. If you aren’t authentic to your brand, its values, and your content theme, people will be able to spot it instantly. And the thing is, it’s not too uncommon actually, to see brands who force content into their feed because they are hoping they can ride on some trend that can bring them followers, exposure, and engagement. If you’re going to include trending and popular events and happenings in your social media posts, they have to fit seamlessly into the rest of your content. Obviously, if you’re a brand focusing on Basketballs, then there’s nothing wrong with sharing the announcement of Kobe Bryant saying that he quits. Because it is related to your industry, and your audience is likely to find it interesting. Does it fit seamlessly with your other content? Is it relevant to your brand’s values? Is it relevant to your target audience and niche? Now, I’ve talked about the importance of responding to your messages, all of your messages, that you receive on social media. But when responding to the questions, you need to make sure that you are actually responding! What you’ll only end up doing is making your followers angry, because you’re not helping them one bit. This is partly related to the point where I said that you shouldn’t pretend like you know it all. If you don’t know the answer to your customer’s question, then admit that you don’t. The truth is that it is far better admitting that you don’t know rather than pretending like you do because people will be able to see through it. Outsourcing is not too uncommon when it comes to social media management, and there’s nothing wrong with outsourcing help. The problem is that many brands outsource help without truly knowing the agency that they are getting help from. After all, these are the people who are going to represent your brand online, and by leaving your social media to them, you also leave your brand’s reputation in the hands of them. Choosing the wrong agency and people to manage your social media can backfire big time, and if you choose someone to manage your social media just because they’re a lot cheaper, and you know that they’ll do a worse job, in the long-run, you’ll lose more than you gain. When you get help, it is crucial that they are well aware of your brand’s personality, brand voice, message, and feel. They must be fully aware of your goals and the objectives you have with social media, as well as know your brand’s guidelines and how you’re going to react to certain things. If you’ve already thought of all of this before hiring someone to manage your social media, then you’re good to go, but you should remember that just because you’ve crossed the things above on the list doesn’t mean you can let them completely free. Always have a part in your social media strategy, evaluate results, and see how your brand is performing online. In case you didn’t know, different social media platforms work differently well with different types of content. For example, youtube is solely focused on video, while Pinterest and Instagram are almost solely focused on photos. Twitter, on the other hand, is a platform where text is in focus. It means that in order to get the best results possible, you need to realize that not all social media platforms are equal and that they shouldn’t be treated equally. In order to reach success on the different platforms, you need to understand that the content you share has an important part of that, and as a result, you need to be aware of which type of content works best for which platform. First off, people have different expectations for the content they’re going got seen the different platforms, and secondly, you also want to use different content, because if you’d be sharing identical content across all of your social media platforms, what reason would people have to follow you on more than one platform? I’ve spoken about the importance of going into social media with a long-term mindset, because if you abandon your pages, they’ll do more harm than they’ll do good, but another social media mistake of not thinking long-term with social media is that you’ll sit waiting and waiting for the results be generated, and eventually, you’ll give up because you’ve run out of patience. Social media can generate amazing results. But one must realize that social media is a long-term marketing tool. Sure, you can generate short-term results by investing money into Facebook ads, for example, however, if you’re going to rely on organic reach and organic social media success, you must realize that it takes time. No, you won’t generate amazing results after a week, not even two weeks. It is after months and even years that you notice the most impressive results. To reach success, you must see social media as part of your everyday job. Set aside some time every day and work with it consistently. Only then will you be able to see results. You might have set up your profile with an attractive image and followed all the guides for how you create an amazing bio. Social media is a constant process, and you can’t just sit there and wait for people to come. You need to actively go out and hunt them. Stay at it and update it regularly. 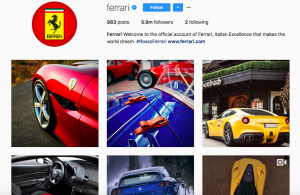 Here is an ultimate guide for how I have grown over 1M followers total on Instagram that can help you if you’re operating on Instagram. Social media is not a place where you want to have a set and forget approach. If you come across a social media page just to realize they haven’t posted for several months, what do you think? Personally, I’d think that the company is unserious, has gone out of business, or just doesn’t care. Either way, it’s not helping your business. It might sound stressful, but you should be active on social media every day, and preferably post once a day as well. With a set and forget approach, you risk scaring away your customers more than you’ll attract them. 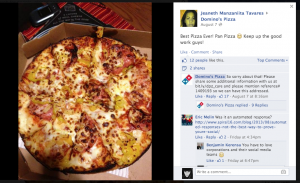 The key to social media success is customer interaction and being social. Social media is about being social, and if you take that away by automating large parts of your social media presence, you’ll take away an important part of social media success. Many brands often automate huge parts of their social media, from automatically posting to using chatbots to respond to their customer questions. There’s nothing wrong with using a little bit of automation on social media, for example using a chatbot to respond to simple questions such as ”when do you open?”, because questions like those only demand a straightforward answer. But when it comes to more personal and human questions, you cannot afford to lose that human touch of your response as it will keep you from building deep and genuine connections with your audience. The bottom line is that there is nothing wrong with social media automation as long as it is used the right way, and as long as the human touch is never lost, especially when working with customer interaction and building your relationships. With social media, you need a long-term strategy, and you need a strategy for how you’re going to drive sales. Purchases are most likely done through your website, right? Well, chances are, your website will be here tomorrow, but will Twitter, Instagram, or Facebook? Don’t make your lead generation strategy rely on one social media platform. Instead, you want to focus on using social media platforms as tools for driving traffic and prospects back to your site. You need to have a long-term lead generation strategy that allows you to stay in touch with your fans no matter if the platform that you used to connect with them disappears. If the platform you’ve built up your large following stop existing, you’ll lose all of your followers and your only way to reach them. But if you can get them to your website and sign up to your newsletter or similar, you can connect with them outside of unreliable social networks, plus, you can get them further down your sales funnel. On social media, and as a business in general, you need to have a consistent branding. Your branding is the way you portray and present your brand to the public. Your brand’s personality is part of your branding, and what if you would all of a sudden change personality in real life? Your friends wouldn’t recognize you, and they’d have a hard time resonating with you. The same goes for brands. You want to have a consistent branding strategy as that is the only way to establish a strong presence and a brand that people remember. When I come across a brand on a social platform and then go to another platform to check how they’re doing there, and I see that their color scheme, content, tone, and brand voice is different, I get goosebumps because I know how ineffective that is for establishing a strong presence. You want to keep a consistent branding that can be recognized from miles away, and through all of your social platforms as well as through your whole sales funnel. Okay, this might not be a very big problem today, but I still think it is a social media problem that is worth pointing out as people are still doing it. A few years ago, there was a phase when everyone was posting photos of cute kittens and memes. Luckily, that phase is over, however, it seems like certain brands are trying to hold on to the past. Unless you’re running a business related to animals or kittens, there are very few excuses to posting photos of them on your social media. If your only strategy is to share photos of kittens, you’re doomed to fail. User-generated content has an incredible marketing power, and unless you aren’t using it to market your brand, you’re missing out on a huge opportunity. In case you’re new to UGC, it is the curation of content that has been created by the users, also known as your customers. People are sharing photos and experiences on social media about your brand, and you can in turn use that in your marketing to show how happy your existing customers are. The content your customers are creating on social media holds an incredible marketing power, and since they’re creating the content, why not take advantage of it? If you’re not using video in marketing, you’re missing out. Never go overboard with posting a ton of posts after each other. Luckily, the biggest problem with this has been solved when most social platforms now use algorithms that sort multiple posts away from your feed, however, before Instagram introduced its algorithm, for example, you got all the content that the people you followed were posting. In other words, if someone you followed posted 50 posts in 10 minutes, you’d have to scroll through all of that in your feed. Try to have a bit of space between your posts (at least a few hours) to give your posts the optimum chance for engagement. You should avoid reposting content too often, but what you can do is make variations of th post you’re planning on reposting, for example changing the caption, tweaking the image, using another video etc. People hate repetitiveness, and due to the large supply of content on social media, they won’t hesitate to unfollow you if you provide them with that. Some people tend to think that the only content you can share on different social platforms is the type of content which the platform was dedicated to. In other words, Instagram is dedicated to photos, so, therefore, they should only post photos there. Twitter is dedicated to text, and therefore, they should only share short and snappy texts. This is obviously completely wrong. For the social platforms that support video, you have to use it. Video is tremendously powerful, in marketing to say the least, and the best part is that it activates several senses of the customer which makes your chance of impacting them higher. I think it’s safe to say that people love video, and if you can provide it to them, you’ll find great success. Don’t only focus on creating video, or producing the written word. Realize that video is something that holds an immense marketing power, and if you can create amazing, captivating videos your audience will love you for it. When working with social media, you obviously want to reach your target audience, right? After all, you’re using social media for a particular reason, right? It may be because you want to increase brand awareness or drive sales. Either way, you want to focus on reaching the people who truly matter. It doesn’t matter too much if you increase your brand awareness among people who have a passion for fishing when you’re selling race cars, right? The more specific you can be in your targeting, the better results you’ll generate because you avoid wasting your efforts. Sure, you might be all happy because you have accumulated 10 thousand followers, but if those followers are people who really have no interest in your niche or brand, what good will the do? It’s almost like having fake followers because they aren’t helping you achieve your objective with social media. By identifying where your target audience spends time, and where you can find them, you can laser target your marketing and only reach the people who truly matter. By doing so, you can spend less but generate more. Sounds like a fair deal, right? Facebook’s preferred audience setting is great for targeting particular people based in a particular place. For example, let’s say you have an event going on in San Fransisco. If you would post that on your Facebook page, chances are that only a small part of your following will actually find it relevant and interesting (unless you’ve hyper-targeted your advertising, in that case, good job!). Therefore, Facebook’s preferred audience settings can come in handy when you want to show a post to a group of people who are located in the same area as you or your event. Doing this ensures that fewer people will see irrelevant content in their feed, for example, a post about your event in San Fransisco when they are in Italy. Fan feedback on social media is incredibly important and valuable, yet, it surprises me how many brands are completely ignoring the feedback they receive. The people who leave reviews on your site clearly care about your brand and want it to improve! The majority of feedback will actually be real, honest, and true reviews that can help you improve your brand if you just take the time to listen! 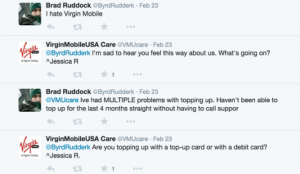 What’s more, customer feedback is of the same nature as customer service. When people write to you, they expect you to respond, and 72% of customers expect a response within an hour. The problem, though, is that unless they get help within one hour, there’s a risk that they’ll go somewhere else, to your competitor possible, and what’s more, they’ll start thinking negatively about your brand. Social media has opened up a completely new world for both brands and customers when it comes to customer service and customer feedback. Back in the days, brands could act super badly against customers, and do so for a long time because the information was spread so slowly, but now, information is moving within a matter of seconds, and if you do something bad, people will know about it instantly. What’s more, customers can share their experiences and reviews of your brand within a matter of seconds and get a response back without having to sit in pine line for countless of hours. First, you should see it as a great opportunity for you to improve and prevent other customers from facing the same problem. Second, you should see it as an opportunity for you to prove how amazing you are as a brand, and to make the disgruntled customer happy again. Customer service is tremendously powerful and has a huge effect on the way people look at you, so make sure you take advantage of every opportunity carefully. On average, happy customers tell nine people about their experiences with a company. For every customer who complains, there are 26 customers who don’t say anything. Businesses that grow their customer retention rates by as little as 5% typically see profit increases ranging from 25% to 95%. 82% of customers have left a company because of a bad customer service experience. A study by Bain & Company suggests that when companies engage and respond to customer service requests over social media, those customers, on average, end up spending 20% to 40% more with the company. If you’re using advertising where you boost your posts, for example, Instagram or Facebook, do for god’s sake not boost all of your posts even if they’re terrible, just because you want eyeballs on them. The truth is that you’ll generate better marketing results by boosting one incredible and high-quality post with $500 instead of boosting 5 posts with $500, 4 of which are boring and uninteresting. Be selective with the posts you re going to spend money on boosting, and make sure it is fine-tuned to perfection for best results. You might think that it’s difficult to determine which posts you should boost. Hint: it’s not. Simply go to your analytics and statistics and take a look at the posts that received above engagement rate when posted organically. When organic posts receive above average engagement, that means that people like them and find them interesting. As a result, they’ll generate better results when boosted as well. Using this method ensures that you are focusing on quality before you start investing money into ads. Instead of guessing what will perform well, you let time and analytics tell you. Previously I spoke about the importance of developing a social media strategy, but the thing is that unless you’re using it, what good is it for? When you develop a social media strategy, you obviously want to make sure that it contains all the right information. If the strategy you’ve developed doesn’t tell you a lot, I can see why you aren’t using it. I referred the social media strategy to a blueprint, but do you think that you only look at a blueprint once? It’s same with a map. Your social media strategy works like a map that tells you where you are going and how you best get there, but if you just have your map laying around, it won’t help you, will it? You need to go back to your social media strategy regularly to ensure that the time and effort you are investing in social media is bringing you closer to your goal. Moreover, you also want to look back at it every time you’re going to take an important decision, or just to refresh your memory. Always have your strategy close by and make it a habit to take a look at it regularly. Humans relate to humans, right? Well, considering the fact that social media is social, it is a tool that should be used for social interactions and to improve your relationships with your audience. Humans build relationships with humans and not a fancy logo and brand name. It is emotions that affect and impacts us the most, and this is only possible to extract from your target audience if you are human. If you aren’t being human as a brand, or when you’re engaging with your target audience, you risk losing people, but more importantly, you risk missing the chance of building strong, long-lasting, and genuine relationships with your audience that leads to engaged and loyal followers. As a brand, you want to develop a brand personality and brand voice, but you also want to make your replies a bit more personal, one simple approach is by adding your name at the end of every response you make. That way, people are talking to a person, not a brand. As you saw earlier in the statistics I presented, customer service is crucial to success as a business. The way you respond to your customers and manage your customer service has a huge effect on how your customers view you, but also if they buy from you, become loyal supporters of your brand, or if they become enemies and disgruntled ex-customers forever. Everyone is human, so it’s okay for brands to make mistakes, but it is how you deal with the mistake that is interesting. Because it is your customer service that tells a lot about your brand. Feedback can come both in the form of negative and positive feedback, and many brands tend to believe that when people leave negative feedback on their page, for everyone to see, it is hurting them, but the truth is that it isn’t, at least not if you respond to it and show that you care and do everything you can to make things right again. People know that businesses make mistakes, but as mentioned earlier, it is the way they deal with the mistakes that truly separates an excellent from a bad business. Since customer service is such a crucial part of brand success, and social media, to say the least, you need to have a clear plan for how you’re going to deal with it in the bestsellers way possible. Resolve a complaint in the customer’s favor and they will do business with you again 70% of the time. Many brands are terrified of negative reviews and feedback on their social media page for everyone to see, as mentioned. Many brands delete it and pretend like nothing has happened. Other brands ignore it and hope that it will be pushed towards the bottom. And then we have brands responding to it, showing how thankful they are to the customer that they are pointing out places where they can improve, and then offering a solution. Which of these three methods do you think is best? 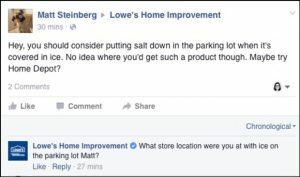 If you delete a customer complaint, chances are, the customer will become even more disgruntled and angry, and when they do, they’ll tell more of their friends how terrible you are, and they’ll become even more vicious on your page. Similar things happen if you ignore them. The main reason that people write to you on social media and complaints is that they want to be acknowledged and feel like you are doing your very best to help them. As a result, most of the time, it doesn’t take too much to turn around an angry customer to a happy one again. You just simply have to thank them for their message and for taking the time for helping you improve, and then also show that you will do something about it and not just throw their tip in the trashcan. Lastly, if needed, you also need to offer them some sort of compensation. Social media is extremely time-consuming. At least if you want to generate great results. That means, that unless you’re working full time with social media, you’ll have a hard time reaching your true potential on social. As a result, you’ll be best off having a proper social media team. One social media manager can do it all, but that means splitting themselves into many different roles. And doing too many things at once is usually not a recipe for success because it means building a bit there, building a bit here, trying t juggle many balls at once, instead of only focusing on one thing and doing that excellently. all in one, and as you can imagine, the job of a social media manager should ideally be split up between a number of people, all of which handle different parts of the social media presence. Yes, people ACTUALLY do this! But it’s obviously something you should stay away from at all cost. Don’t fake customer interactions, reviews, or other messages by presenting you’re a brand advocate. Instead, focus on building a real, true fan base that will stay with you no matter if you sink or swim. I touched upon this briefly earlier, and the only way really, to censor your customer’s messages is by deleting them or in any other way hiding them from the public. This is absolutely not a recipe for success. If you start censoring your audience people will start seeing you as some kind of dictator, and they’ll become even angrier than they were before.What’s more, there’s a risk that the problem will escalate into some sort of social media storm that goes out of control and that damages you far greater than the initial little complaint that you received. Instead of censoring messages, have a clear plan on how you’re going to deal with them in the best way possible, in order to convert them into loyal supporters of your brand. One of the worst things you can do when it comes to customer service is threatening your audience, for example with legal threats, in order to silence them. Well, because the last thing they’ll be is silent after an event like this. As a brand, one of the most dangerous things you can do is threaten your customers, and if you do, you can be quite sure that the situation will escalate rapidly. A social media crisis, or social media storm, can appear any second. And the scariest part is that they can appear no matter how carefully you are with where you put your steps. You can, however, minimise the risk of being struck by a crisis if you are careful. But if a crisis appears, it is important to know exactly what you re going to do and how you’re going to act, because it can have a huge effect on how the situation escalates. By having a clear plan, you can minimise the damage the crisis and social media storm has on your brand and reputation, and you can decrease the duration of the crisis. What can possibly happen, how are you going to deal with a crisis when it happens? Are you going to make a public apology? Are you going to apologize personally to the person? Are you going to make things right and change something? Social media is not about you unless your name is Kim Kardashian. People hate promotional content, especially on social media, so if you’re only focusing on self-promotion, what will end up happening is your customers will run away from you, and they’ll shy away from interacting or following you. As mentioned earlier, social media success is about having a value proposition to your audience, and that value proposition is not ads. It’s about providing value and building relationships which ultimately leads to sales. It might surprise you, but the more you focus on building relationships and interacting with your audiences, and the less you focus on self-promotion and promoting your products, the more you’ll sell. And that’s the mindset that many marketers have a hard time grasping and adapting because sit is so different from the traditional ways of advertising. Most brands have a lot of conversations going on about and around them, but many of them are not taking active parts in them themselves. But why should your audience talk about your brand when you are not even part of it. The key to building a community for your brand on social media is taking active parts in the discussions whenever needed, as well as encouraging your audience to talk about you. When doing so, you acknowledge your audience as well as contribute to the discussions that are taking place. When you lack conversation with your audience, you’ll decrease the value of your social presence, decrease the number of people who will be talking about you, but also limit the opportunities for you to build strong, genuine, and long-lasting relationships with engaged audiences. I cannot emphasize enough that social media is social and that if there’s one thing you are going to focus on, it is building strong relationships with your audience, as a result of engaging with them on a regular basis. A huge social media mistake is to have no real followers or to have an unengaged audience. But the thing is, they’re basically the same. I mentioned at the beginning of this article how buying fake followers is a huge social media mistake, but the thing is that you can have fake followers even if you haven’t bought them, plus, unengaged followers, also known as ghost followers who never engaged with your posts or brand, do exactly as little as fake followers. Even though their nature varies a bit, I will still talk about them as one, because none of them will contribute to your social media success, apart from increasing your follower count and making it look good on the outside. Fake followers can be the result of using spammy hashtags that attract fake accounts and bots, but it can also be the result of just attracting people who simply don’t care about your business. For example, you might have run a giveaway for a very generic price that everyone wants, such as an iPhone or iPad, or even a car! Yes, you might attract a ton of people and grow your follower count by the tens of thousands, but the vast majority of people you attract will have no interest in your business, and never do anything that benefits you. In fact, chances are, they’ll unfollow you when the contest is over. As a result, even though they increase your follower count, they actually weaken your social presence, because they decrease your engagement rate and make your following look faked, even though you haven’t directly bought your followers. Are you posting the same type of content over and over again? Chances are, you’re boring your followers to death. The worst thing, is, as talked about earlier reposting the same type of content over and over again within a short period of time, however, sharing content that is very similar to each other isn’t a recipe for success either. People need diversity, and they need to be taken by surprise on social media, as this greatly increases their engagement and interest in your page and brand. This continues on the path of quality before quantity. This is a common problem that I see many brands are having as a result of the fact that they should be posting several times a day across the different platforms. As a result of this, they become stressed out about having to produce amazing content all the time, and when the time isn’t enough, they post for the sake of posting, even though they don’t have a piece of content that isn’t up to quality. Yes, posting content regularly is t recommend, but unless your content is amazing, people won’t interact with it, and this means that the time you spent on producing that piece of content will be wasted. Instead of trying to push out content and sacrificing quality for quantity, it’s better to post less but with higher quality. This is a social media mistake that luckily not too many brands are making. Probably because they are short on time already as it is, so why would you want another account to manage? Generally, having more than one social media platform on social media that all link to the same main site confuses your audience. What’s more, most of the time, it wastes your time and resources. 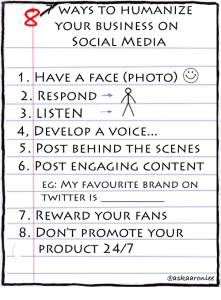 The same principle goes here as with building your social media team. Instead of spreading your efforts, you’ll be better off focusing on one thing, because that’s when you can generate the best results. There are some exceptions though. If you have great resources and reasons for having multiple accounts on the same social media platform, you can have so – but only if you have enough resources to manage them. For instance, Zara and H&M both have a regular Twitter account, however, they also have a customer service account where they manage their customer service questions. 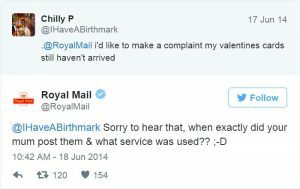 One account is to inspire their followers with the products they have, and one account is for solely managing customer service. For large corporates that receive a lot of customer complaints on social media, it is a good idea to keep the two separated. In other words, the different accounts they have created fill completely different functions. What’s more, you can expect multi-billion dollar companies to have the resources to manage a few social media accounts, right? 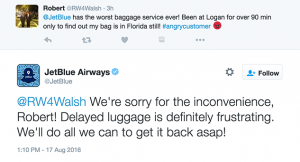 Most brands manage their customer service through their main social media account, and there is nothing wrong with that. They have tons of accounts on Instagram, but the catch is that they’re all dedicated to different things. For example, they have one account dedicated to only football and football accessories, while they have one account dedicated to skateboarding. Obviously, these are two completely different types of individuals, and mixing the two wouldn’t be a very good idea. People who are interested in football don’t want to see a bunch of skateboard related content and vice versa. Social media is not the place for featuring any of this, in fact, most social media platforms will delete it because it is against their guidelines. The thing is, none of this type of content benefits you in any way. People might get offended, angry, or lose trust and respect in you. They might help you if used in the wrong way, but this type o content carries too much risk to afford even trying. I have spoken a lot about the importance of resonating with your audience and having a personality that your audience can resonate with, however, just because your target audience swears and uses a foul language, doesn’t mean you shouldn’t swear. You can use abbreviations, you can use slang, but in 99.9% of times, a foul language should not be a part of your language, no matter what target audience you have. 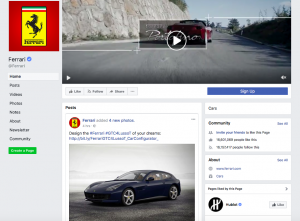 Certain brands believe that it allows them to connect with their audience better, and it’s easy to understand why, however, there’s a problem. Yes, it might allow you to connect better with your target audience, but it will make you seem extremely unprofessional, and as a result, you’ll struggle with getting people to trust you. Some brands don’t want to come off as offensive or aggressive, and therefore, they use a strategy of being low key to avoid upsetting anyone or stepping on anyone’s toes. They go unnoticed and get no visibility. And considering the fact that you are using social media to reach more people, it will end up as a complete social media fiasco where you’re hiding in the corner expecting people to come to you. There are so many social media accounts that excepting people to just come to you is foolish. Instead, you need to go up on the top of the mountain with a huge billboard that says ”free donuts” and scream like crazy. Don’t be shy. Be aggressive in your job of boosting your exposure. That is the only way to reach more people in the saturated world of social media. It is important that you have a social media policy, especially when you have a large team. When you have several people working on your social media, you want everyone to pull in the same direction, because if everyone is pulling in different directions, you won’t come anywhere. Your policy is a part of your social media strategy on how you’re going to behave and act, but unless you specifically think about developing a social media policy, there’s a risk that you won’t cover all necessary parts in your strategy. By having a well-detailed social media policy, you ensure that everyone in your team is aboard with the same idea and mindset and that everyone knows how to act in different situations. By having it in place, you can save yourself from a huge social media mistake that far too many brands haven’t figured out. On social media, there are many pitfalls to fall into. Mistakes happen to even the best, but by being aware of the most common mistakes, you can minimize the risk of committing any mistakes that are keeping you from success, or slowing you down in reaching your goals.